The EMEP4UK is an off-line atmospheric chemistry transport model (ACTM) based on the EMEP MSC-W model (www.emep.int). The model, termed EMEP4UK, is capable of representing the UK hourly atmospheric composition at a horizontal scale ranging from 100 km to 1 km. The Weather Research Forecast (WRF) model was used as the main meteorological driver (www.wrf-model.org) . More information on this calculated meteorological input data can be found here. The current version of the EMEP4UK is rv4.17, is virtually identical to the open source EMEP MSC-W rv4.17 (https://github.com/metno/emep-ctm). The EMEP MSC-W model is currently used to support European policy development by the UNECE Convention on Long-range Transboundary Air Pollution (CLRTAP) and the European Commission. EMEP4UK is an ideal tool to analyse the impact of policies on the UK with the benefit of higher resolution which is, for example, critical to account for the spatial allocation of wet deposition. 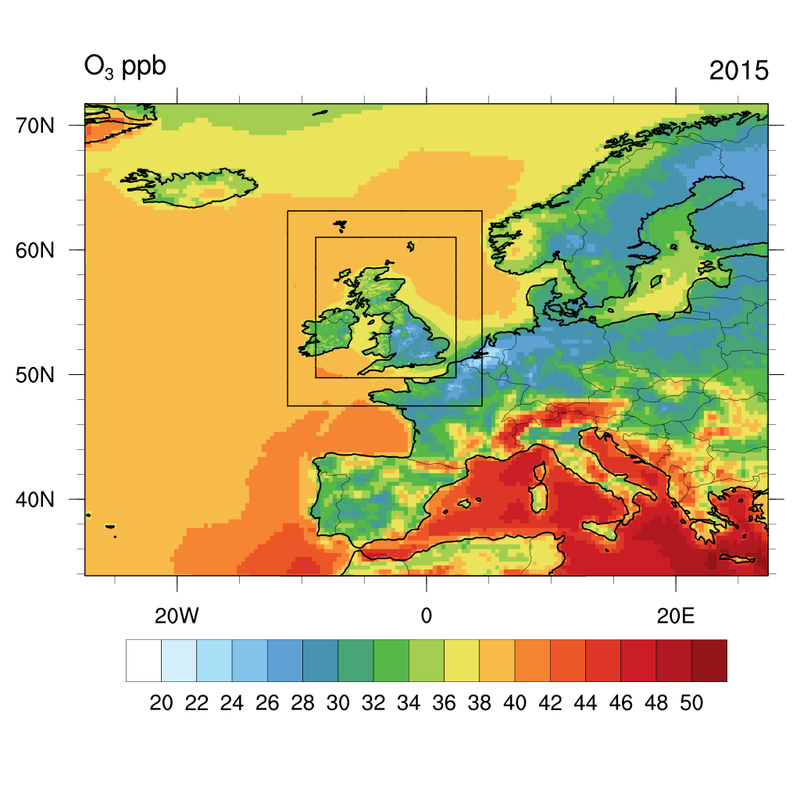 EMEP4UK simulates hourly to annual average atmospheric composition and deposition of various pollutants; including PM10, PM2.5, secondary organic aerosols (SOA), elemental carbon (EC), secondary inorganic aerosols (SIA), SO2, NH3, NOx, and O3. Dry and wet deposition of pollutants are routinely calculated by the model. More information on the horizontal and vertical resolution and the domain set up of the model can be found here.